Recognized for its virtuosity, exuberant performance style, and often-daring repertory choices, over the past two decades the Pacifica Quartet has achieved international recognition as one of the finest chamber ensembles performing today. 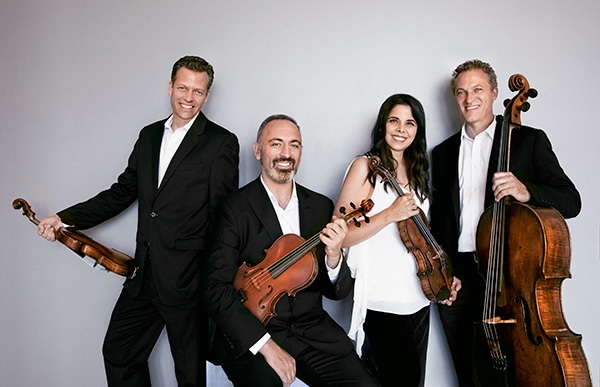 Named the quartet-in-residence at Indiana University’s Jacobs School of Music in March 2012, the Pacifica was previously the quartet-in-residence at the Metropolitan Museum of Art and received a Grammy Award for Best Chamber Music Performance. In 2017, the Pacifica Quartet was appointed to lead the Center for Advanced Quartet Studies at the Aspen Music Festival and School. Pacifica’s performance will be followed by a reception. All Orchestral Directors and their guests are invited to attend. Both the performance and reception are sponsored by D’Addario, as part of a commitment to providing enrichment to string education. The Pacifica Quartet is endorsed by D’Addario Orchestral and proudly uses their strings. Ever wonder exactly how a musical instrument string is made? D’Addario & Co. has created a brand-neutral presentation that demystifies the strings on our instruments. By detailing the history and anatomy of strings, we hope that everyone will gain more understanding of what best suits their instrument, playing style, and playing level. We’ll discuss everything that goes into making and playing on a string, including materials, maintenance, longevity, rosin, and everything in between. Come test some of the newest and greatest instruments and accessories for band and orchestra. Participants will receive a free percussion, woodwind, or orchestral string accessory. Join the D’Addario Education Collective! The D’Addario Education Collective (DEC) provides music teachers with tools to support their role in education. Members receive access to exclusive videos and resources, as well as opportunities to beta-test new products and win gear and supplies! 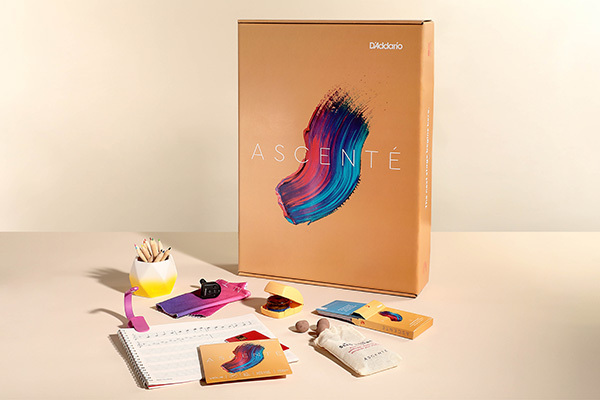 Register with the DEC at booth #201 during Midwest 2018 and you’ll be eligible to win a limited edition Ascente Gift Box for your classroom.